NICCONI (AUS) (Bay 2005-Stud 2010). 6 wins-1 at 2, VRC Lightning S., Gr.1. Sire of 262 rnrs, 182 wnrs, 13 SW, inc. Faatinah (SAJC Euclase S., Gr.2), Sircconi, Chill Party, Nicoscene, Time Awaits, Concealer, Hear the Chant, Niccanova, Caipirinha, Ayers Rock, Quatronic, Exclusive Lass, Loved Up, SP Fickle Folly, Niccolance, Bolero King, Nieta and of Falconic, Nicconi Leggera, Backstab - Beauty Master (H.K. ), Fusina, Caesour's Dream, Huayra, etc. Bolero King (g. by Nicconi). 3 wins. See below. Cut a Rug (g. by Choisir). Winner at 1500m in Aust. Al Mahindra (g. by Al Maher). Placed at 2 in Aust. Torvill (f. by Not a Single Doubt). 4th ATC Sweet Embrace S., Gr.2. Bolero Queen. 2 wins. See above. New Beginning (Reset). 6 wins from 1000m to 1600m, A$179,500, ATC Zoffany at Coolmore H., Spotless H., 2d Newcastle JC Tibbie S., L.
Callenza (So Called). 9 wins from 1200m to 1850m, VRC Stubby H., MVRC Dhaulagiri H., SAJC Star Affair H., Graduation S., 2d MVRC Herald Vase H., L.
Vicenzina. 3 wins from 1400m to 1600m, AJC Winooka H.
CANGRONDE (Spectacular Spy). 15 wins-1 at 2-to 1200m, A$605,860, AJC Challenge S., Gr.2-twice, Expressway S., Gr.2, QTC Lightning H., Gr.3, Qld Tatt's RC Mercedes-Benz S., L, Clarence River JC Ramornie H., L, Gosford RC Pacesetter S., L, AJC Capricorn International Resort H., BATC Agricola H., 2d VRC Lightning S., Gr.1, 3d QTC Lightning H., Gr.3, 4th Qld Tatt's RC Mercedes-Benz S., Gr.3. RUTHVEN (Domesday). 3 wins from 1300m to 2200m, A$763,900, in 2016-17, BRC Queensland Derby, Gr.1, 2d South Australian Derby, Gr.1, MRC Sandown Guineas, Gr.2, MVRC Alister Clark S., Gr.2, MRC Vobis Gold Heath, 4th ATC Australian Derby, Gr.1. FIERY VENTURE (Thunder Gulch). 7 wins-1 at 2-from 1100m to 2000m, A$593,750, STC Theo Marks H., Gr.2, AJC Craven P., Gr.3, STC BAC Systems Series H., Inghams Love'em Series H., Hawkesbury RC Rowley Mile, AJC Reading 2YO H., Longines H., 2d STC Frederick Clissold S., Gr.3, Illawarra 2YO Classic, Gr.3, City Tattersall's Club Cup, L, 3d AJC Villiers S., Gr.2, STC Frank Underwood Cup, L, Scone Cup, 4th AJC Bill Ritchie H., Gr.3. RECALL THE TUNE (Sound Reason). 4 wins-2 at 2-from 1100m to 1600m, WATC Lindsay Rosenthal S., L, Anzac H., Clifford Graduation S., 2d WATC Rhinekellar H., Rentokil Quarantine Services H., 3d WATC Blue Ribbon S., Gr.3, All Stars S., L, 4th Pinjarra Guineas, L. Sire. Fancy Liquor. 2 wins-1 at 2-at 1300m, 1400m in Aust. and HK, AJC Honda Ron Casey H.
VICENZA (Raimondo). 7 wins. See above. GALANAL (Kaoru Star). 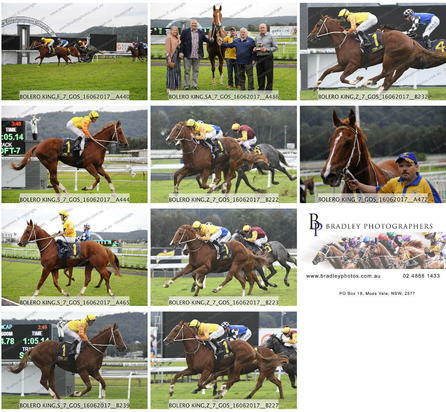 8 wins-2 at 2-from 1100m to 1900m, BATC HJ Murphy H., L, STC Gratitude H., 2d MVRC Cumberland H.
TANGO MASTER (Plush). 10 wins-2 at 2-from 1200m to 1600m, A$326,375, VATC Zeditave S., L, 3d VRC Newmarket H., Gr.1, Ascot Vale S., Gr.2, VATC Autumn S., Gr.3. Race Record: 6 Starts 3-0-1 A$65,175. 3 wins to 1400m to 2016-17, 3d Canberra Guineas, L.